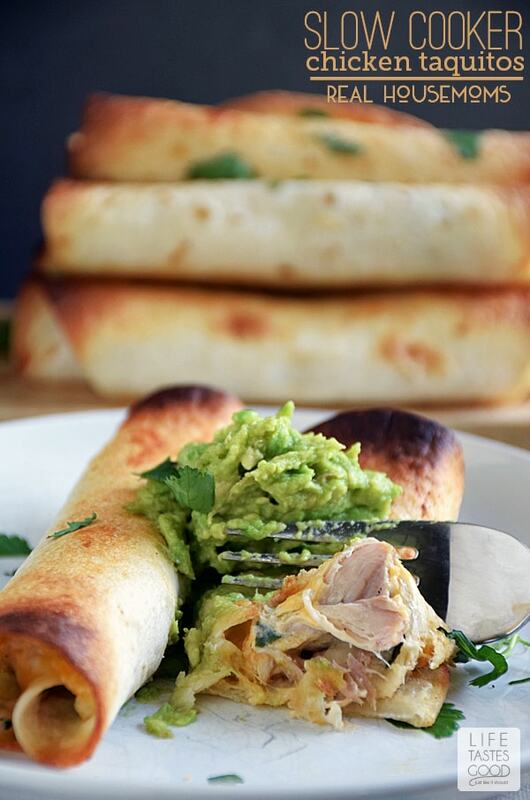 Slow Cooker Chicken Taquitos are easy to make and always a big hit! I love how easy this is to make any night of the week for a delicious dinner the whole family loves! 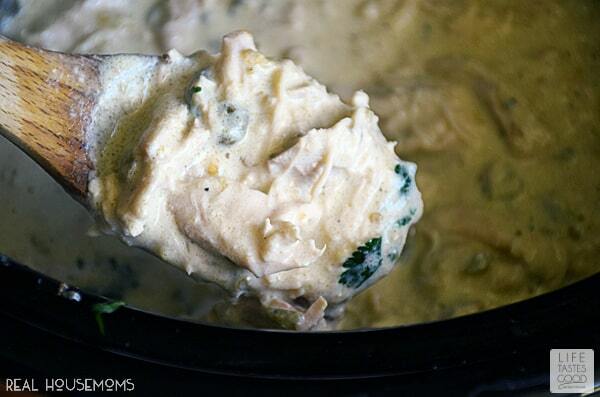 This is really one of the best crock pot recipes! 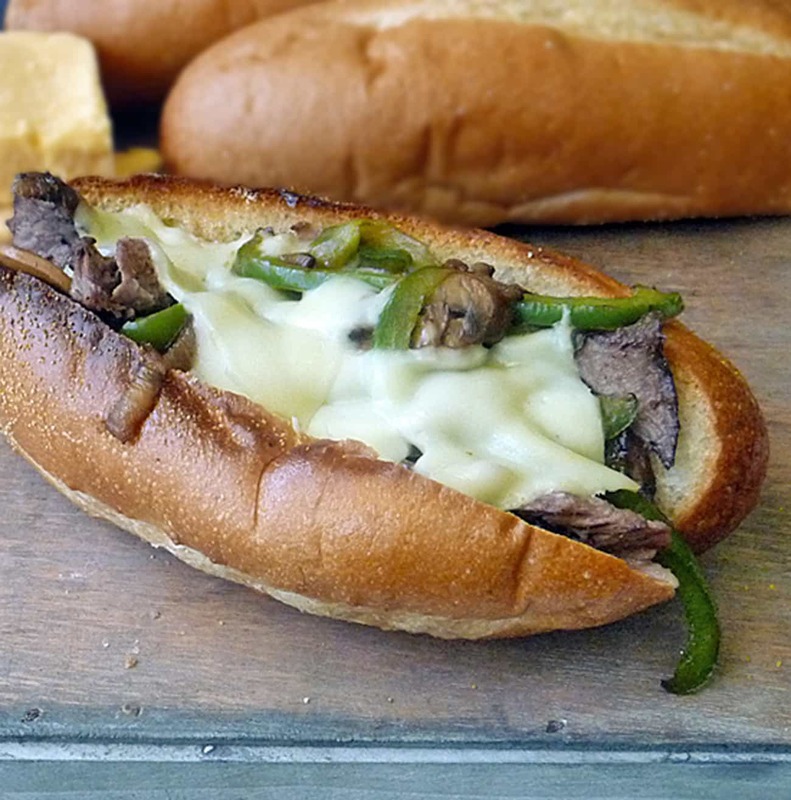 All you have to do is toss everything into the slow cooker and set it on high for 3 to 4 hours. Be sure to use chicken thighs for this recipe. Chicken thighs work great in the slow cooker. 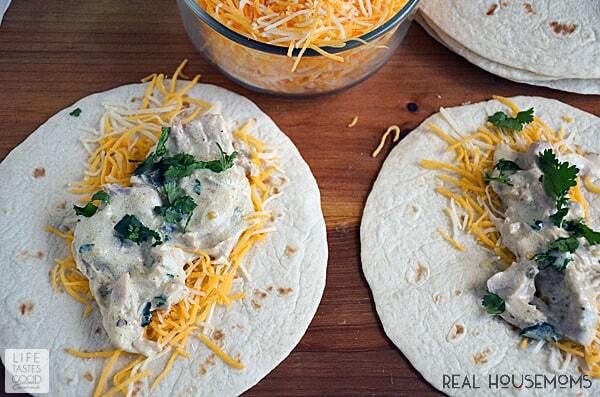 They stay tender and moist, are loaded with flavor, and cost a lot less than chicken breast too! and place them on a parchment lined baking sheet. 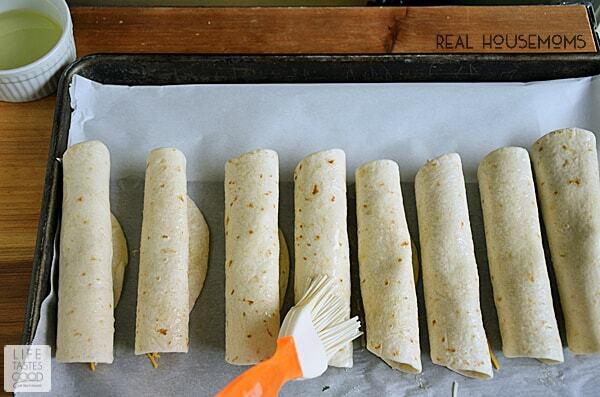 If you don’t have parchment paper, you can use foil, but be sure to spray the foil so they don’t stick. Brush the tops and sides with vegetable oil and bake in the preheated oven for about 10 minutes. To get them extra crispy I like to turn on the broiler for a minute at the end. Be sure to watch them closely so they don’t burn to a crisp! 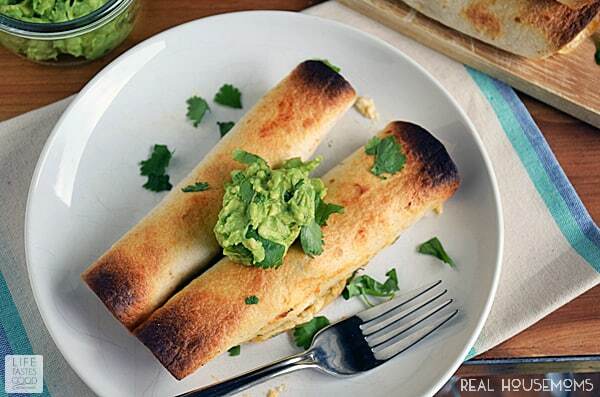 Once the cheese is melted to ooey gooey goodness and they are nice and crispy, I like to serve them with my favorite guacamole recipe. If we are enjoying these for dinner, I’ll make up some Spanish rice on the side. They are so good! Enjoy! What a great idea Marion! I’m drooling looking at your photos! Such a great recipe.